Graham Nock was born in Sydney on 7 October 1928, the son of former Lord Mayor Sir Norman Lindfield Nock and his wife Lady Ethel E Nock, nèe Bradford. He married Pamela, daughter of J and PA McCathie, on 26 January 1955 and has three sons and one daughter. Graham Nock was educated at Sydney Church of England Grammar School and Scots College and the Babson Institute of Administration in the United States of America. He holds a Bachelor of Science degree. He joined his father in the family’s well-known hardware store Nock and Kirby Pty Ltd, being Chairman of Directors since 1950. He has been a director and/or chairman of many companies including Carrier Air conditioning Holdings Ltd (1961–87), the AMP Society (1992–95), Rheem Australia (1987–88), Touraust Corporation (1995–) Emerging Markets Co Ltd (1995–), and Development Capital of Australia Ltd (1993–). He was President of the Australian Retail Traders’ Association from 1978 to 1981. He is the non-executive Chairman of the Board of Hedge Funds Ltd (HFL). Graham Nock inherited his love of sailing from his father and is a champion yachtsman. He is a member of the Royal Sydney Yacht Squadron, Royal Prince Alfred Yacht Club, and the Royal Prince Edward Yacht Club. Graham Nock has been on the board of many charitable and community organisations including the Smith Family, Sydney Legacy Torch Appeal, the NSW Bicentennial Council, the Australia Day Council of NSW, the State Library of NSW Council, and the Art Gallery of NSW. He has been a life governor of the Royal Prince Alfred Hospital since 1974. Graham Nock was awarded the OBE in 1975 and the AM in 1988. 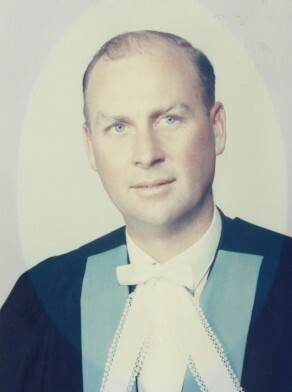 Graham Nock was Alderman for Gipps Ward, 1 December 1962 to 13 November 1967 when the Council was replaced by City Commissioners. He was a member of the Works Committee and the Health and Recreations Committee from 1963 to 1967.